Frying turkeys has been a rising fad in the last few decades. Frying creates an iconic flavor and texture of juicy meat and crispy skin. Thanksgiving day has the highest rate of house fires during the year. With these tips, your turkey fryer will give you delicious turkey with no fire. Today, we’ll go over how to fry the best turkey in town without turning your turkey fryer into a turkey fire. 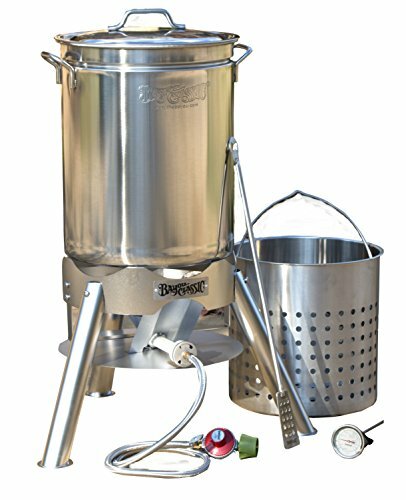 With these tips and the right accessories, you’ll make the most of your turkey frying experience. Keep reading to find out how! 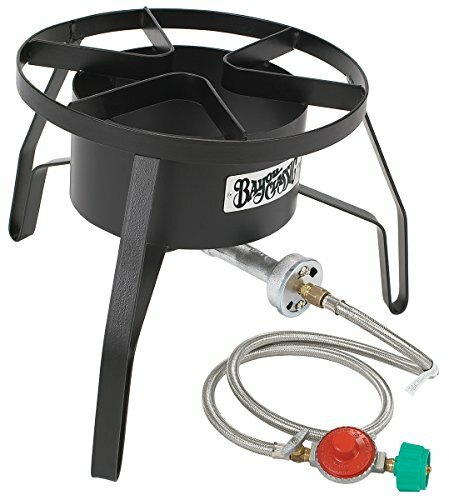 Fryers cause fires because they’re full of oil that can combust or boil over onto the burner. Making smart choices with the type and amount of oil you use is the best way to stay safe. Choose a type of oil that has a high smoke point. The smoke point is the temperature at which oil gets hot enough to smoke. You should also consider factors like taste and fat type when choosing the best oil. The most common choice for frying turkeys is peanut oil. It has a neutral taste and a smoke point of 450 degrees Fahrenheit. If you’re allergic to nuts, you can also use sunflower, avocado, or cottonseed oil. Overfilling your fryer causes the oil to boil over when you lower in the turkey. To find the right amount, grab your turkey and your pot a day or two early. While the turkey is still wrapped in its plastic, lower it into the pot. Pour in water until it covers the turkey by a few inches. Make sure you also leave a few inches between the top of the water and the top of the pot. That will give the oil room to bubble and splash without boiling over. Remove the turkey and measure where the water sits. That’s the point to which you need to fill your oil. Mark or memorize that point and empty the water from the pot. Make sure the pot is completely dry before you try to put oil into it. Frying creates crispy skin and tender meat, but the way you prepare the turkey adds the real flavor. Preparing the turkey correctly also keeps you safer. 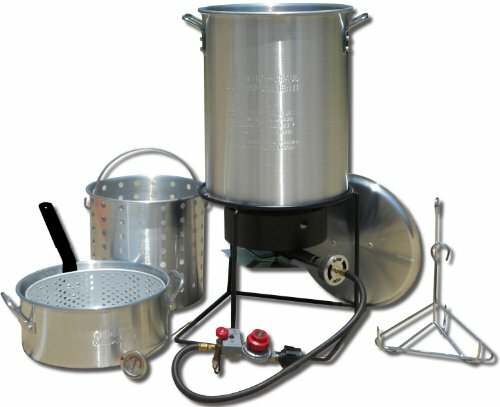 Some fryers claim they can handle turkeys of at least 25 pounds. But, for the best results, use a turkey that’s a maximum of 15 pounds. 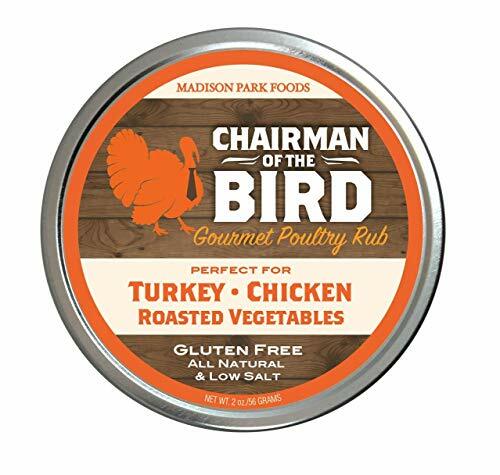 That ensures that the whole bird will cook without the outside getting overdone. If you have a crowd, use two turkeys instead of one big one. 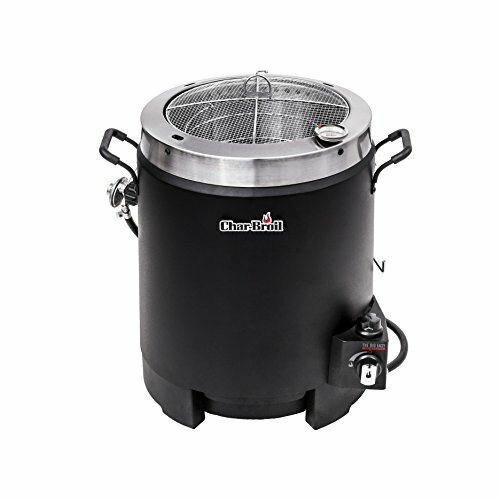 Do you have a huge family and want an outdoor turkey fryer that can handle the load? Then you’ll need to check out the Grand Gobbler from Bayou Classic. It’s a beast of a deep fryer! Defrost your turkey at least 24 hours in advance, or use a fresh turkey. You want to make sure there isn’t one bit of ice left in that turkey before you fry it. Water, especially ice, mixed with hot oil can cause an explosion. Check the cavity of your turkey to ensure there’s no ice hiding in there. Pat excess water off the turkey with paper towels. Then, it’s time to flavor! 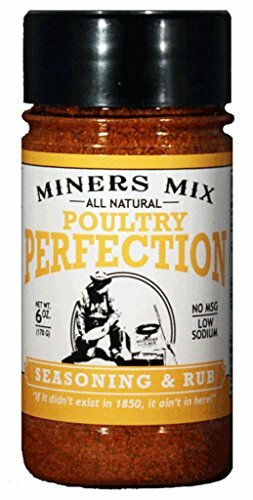 Before dropping your bird in the turkey fryer, pack in the flavor with injections and a dry rub. Injections are basically liquid marinades that you inject under the skin and into the breasts and thighs of the turkey. Try to lift the skin when injecting to avoid poking holes where the marinade can leak out. 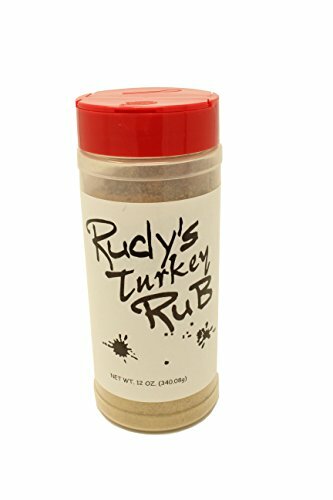 Dry rubs pack on the flavor from the outside of the bird. Once you have these both on, wrap the bird in plastic and let it marinate in the fridge for at least eight hours. 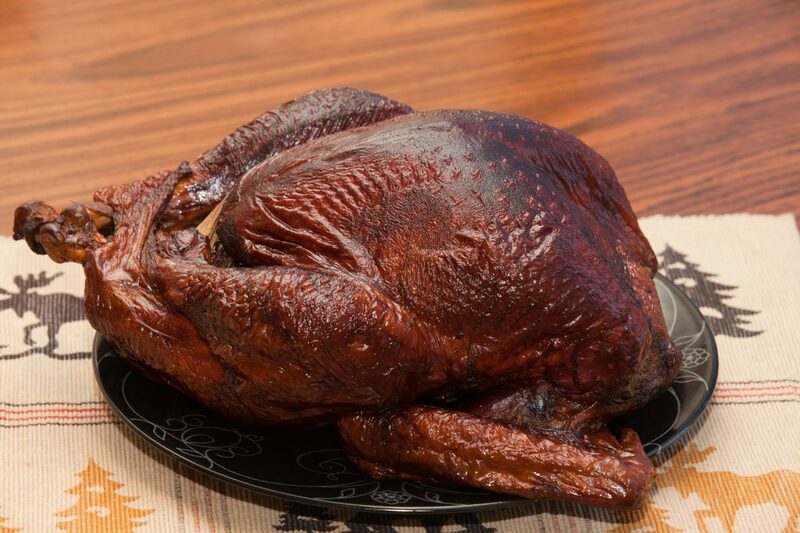 Check out 7 Deep Fried Turkey Seasonings for lots of great ideas. 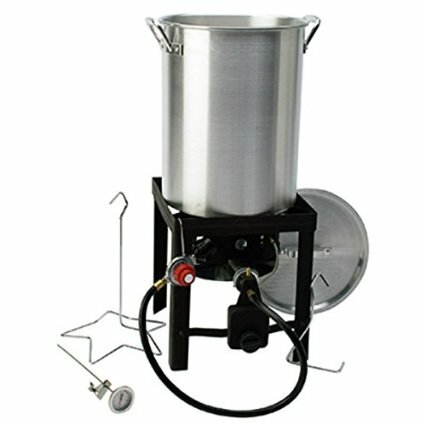 When the big day hits, it’s time to set up your fryer safely to make the most of your bird. Scope out an area in your yard away from the home. Find a flat surface, but avoid wooden decks. 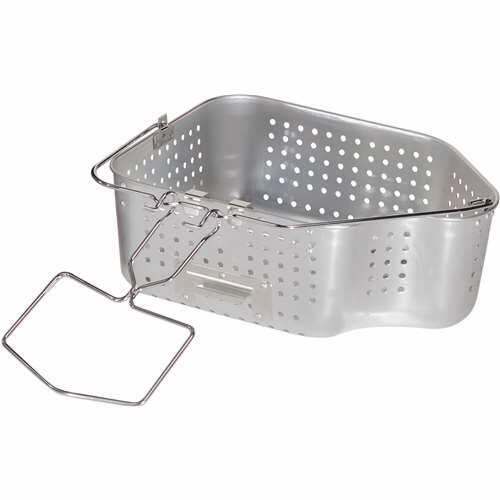 Clear the area around the fryer of any debris, especially flammable objects. Secure all pets and children safely inside the house, or at least very far away from the fryer. It might not be a bad idea to round up the tipsy relatives, too. You basically want to keep away anyone or anything that might touch the fryer while it’s full of hot oil. Then you’re good to go! Before you turn on your turkey fryer, figure out the time and temperature needed for your turkey. Preheat your oil to 375 degrees Fahrenheit. This temperature allows for the drop in temperature you’ll see when you put the turkey in, so don’t jack up the flame. You want to cook your turkey for about 3 minutes per pound. Then, add 5 minutes to that total time. For a 10 pound turkey, for example, you would cook it for 35 minutes. After that time, use a turkey thermometer to check the thickest part of the thigh. It should be 180 degrees Fahrenheit, at least. If it’s not up to temperature, put it back in the turkey fryer for a few minutes. Dropping your turkey into the turkey fryer or pulling it out too quickly can splash oil and cause a fire. Here’s how to handle it safely. Before you put your turkey in the fryer, load it onto the rack. 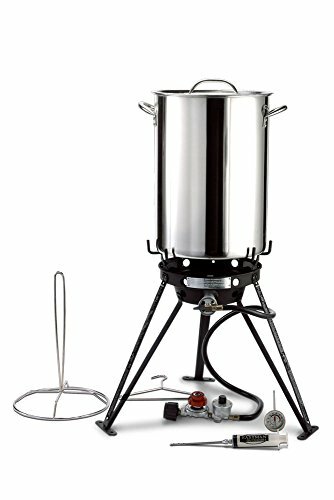 Most fryers come with a frying rack that has a pole through the middle, so you can hook your turkey to pull it out safely. Put the turkey onto the rack head down, so the pole is sticking through the opening. Then, lower it into the oil very slowly. The oil may sputter, but this will avoid big splashes. When the turkey finishes cooking, pull it out just as slowly. Hold it above the oil for a moment and allow the excess oil to drain. Set in in a pan lined with paper towels and let it rest for at least 20 minutes. All of these tips will help you make the most of your turkey fryer, but the most important one to remember? Always watch the fryer. Always have one person stand by the fryer, just in case anything goes wrong. That way, you only have to worry about how amazing your turkey will taste. Check out our article dedicated to Deep Fried Turkey Safety for even more tips to protect yourself and your home. What’s your favorite thing about deep-friend turkey? 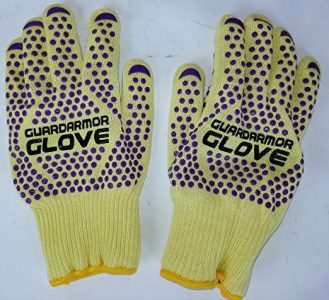 Do you have any tips of your own? « Is It Really Worth It to Buy Free Range Turkey?